As with the nation's elite secret societies, like the Freemasons or Skull & Bones, Arrested Development fans share a sense of clandestineness and exclusivity. Except, in a totally hilarious way that won't help anyone get a job (or will it?). These fans are no doubt sharing secret "in" jokes of cheer now that it's been announced that a fifth season is in on the horizon. So why do people love this show so much? Recurring inside jokes play a prominent role in the show's appeal, but there's another element of the show that is far too underrated: the family dynamics. The show centers around a dysfunctional wealthy family—the Bluths—who (mostly) live together in a model home. Three generations are present. The first are a married couple: Lucille and George Bluth. They are parents and grandparents to the show's main characters. This, though, is no ordinary lovable nuclear family. Perhaps the most outrageous character is the matriarch, Lucille, who is the very opposite of the knitting-granny-in-a-rocking-chair stereotype. She's spiteful, stylish and manipulative. Oh, and she's a raging alcoholic. Lucille commands the camera in every scene, and—in many ways—she runs the family. George may operate the business and participate in messing up the psyches of his kids, but it's mostly Lucille who does the dirty work. 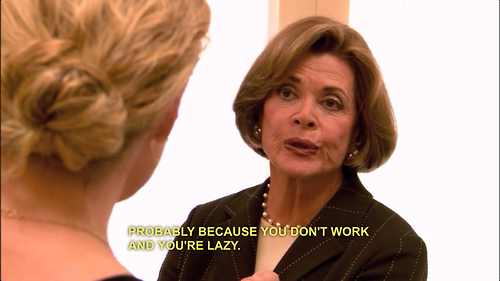 Despite her insanity, though, Lucille remains surprisingly relatable. 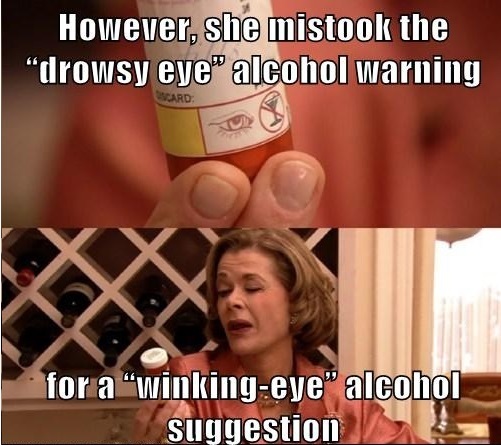 Many of her issues can be attributed to her alcoholism; excessive alcohol consumption increases anxiety and reduces serotonin in the brain, which can prompt the kind of mood imbalances Lucille is (in)famous for. These symptoms are hardly rare in American families. In the U.S., approximately 11 million adults—or about 7.2% of our population—suffer from alcoholism. As with many families, Lucille's flaws impact her kids, who carry with them their own set of over-the-top, yet utterly relatable, problems. Lindsay feels traumatized by her mother's "care," so she largely ignores her daughter (Maeby). Teenage Maeby has no discipline or drive, so she does outrageous things for attention. Buster is babied by Lucille extensively; he is the epitome of a man-child. GOB is just straight-up unbalanced and lives in utter denial of his ineptitude. Michael, and his son George Michael, try to do what's right—but get swayed far too easily by pride and emotion. The truth is, we don't live in a land of the happy, dysfunction-free families that were once presented on TV (Leave it to Beaver this ain't). Family life gets messy, and Arrested Development's portrayal of the erratic Bluth family opens the door for real-world familial issues to be explored. Whether its alcoholism or man-child syndrome, every family has flaws, and for the most part all we can do is learn to deal with them and even try to embrace them (though some flaws earn fewer embraces). 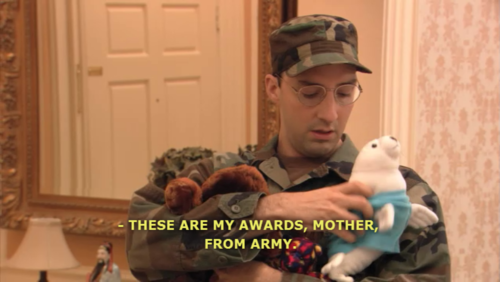 In other words, every family is in some state of arrested development. And that makes this show not just insanely hilarious—but also comfortingly familiar. People with Weird Families, Rejoice: My Big Fat Greek Wedding is Getting a Sequel!